« Maya Angelou: A Dream Realized? Princess Diana (1961-1997) loved to read romantic fiction. 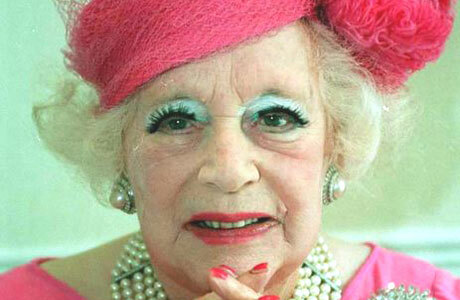 She devoured novels by British author Barbara Cartland, of which there was an endless and steady supply. In her lifetime, Cartland (1901-2000) is credited with having written 723 books. In 1983 alone, she wrote 23 of them. She holds The Guinness Book of World Records for writing the most books in a single year. Reclining on a chaise lounge at her home, Cartland dictated her hundreds of stories to her secretary. They both wore pink. Pink was Cartland’s signature color. British romance novelist Barbara Cartland dictates stories to her secretary Jean Smith while relaxing at home in Camfield Place in Essendon, U.K.
Cartland, self-styled as the “Queen of Romance,” was a celebrity favorite with journalists as she was always holding forth on topics of the day, and sometimes saying outrageous and unprintable things such as speculating on the private parts of the exiled Duke and Duchess of Windsor. In her writing as well as her appearance, Cartland was an accomplished illusionist. Her books were fairy tales of the most fantastic nature. In them, the young virgin heroine – usually with an exotic name like Vada, Lalitha, Syringa, Fenella, Kamala, or Anthea – always marries Prince Charming. They live happily ever after. They never quarrel, they don’t have affairs, and they certainly don’t divorce. Not so in the Spencer household. From her earliest years, Princess Diana’s parents had had a troubled marriage, and her home was a scene of violent quarrels. 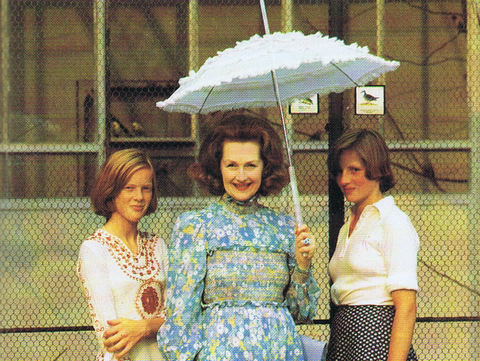 Diana’s mother, Frances, felt as if her husband Johnnie Spencer, Viscount Spencer, treated her like a brood mare, sending her to fertility experts to explain why she had given birth to three girls in a row. He wanted a male heir to carry on the royal family line. Diana listened behind the door when her parents had a shouting match and her sister turned up the record player volume. Frances did give birth to a boy, Charles, but the breach in the marriage had become, by then, an unbridgeable chasm. When Diana was six, her mother left her four children and husband to pursue an affair in London with Peter Shand Kydd, also married. In 1968, she divorced Diana’s father, Johnnie Spencer, who, surprisingly for the times, was granted custody of the children. It is not surprising once you know that a surprise witness at the divorce hearing provided the damning testimony that decided in his favor. Testifying to Johnnie’s superior parenting skills was Frances’s own mother, Lady Fermoy, testifying against her daughter. Three months after the divorce, Frances married Kydd and they moved to Scotland. 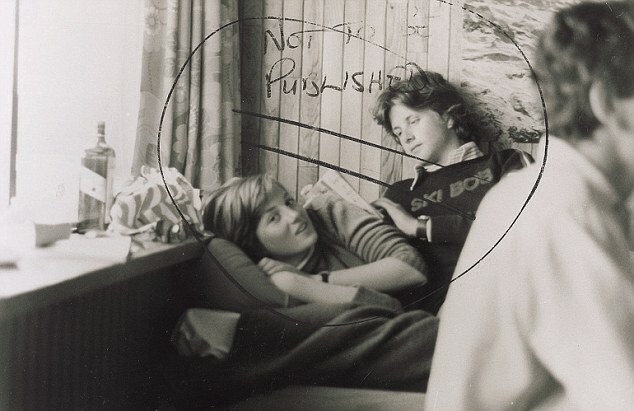 With her two older sisters away at boarding school, only Diana and her younger brother Charles remained behind at Park House on the Queen’s royal Sandringham estate. Her father holed up, silently, in his study, abandoned. 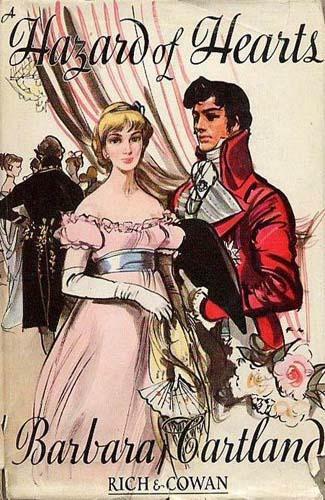 Cartland’s novels provided young Diana Spencer with an escape into a fantasy dream world. Diana came to believe in the magical rescue power of princes, waiting for her prince to ride up and take her away to her own happy ending. Her life view was shaped by this unreality and it would pitch her into a cold marriage to a man whose heart already belonged to another. No fairy tale is complete without a wicked stepmother, and, in July, 1976, Diana got one. Her name was Raine, Countess Dartmouth. By this time, the Spencers had moved into the family’s stately home of Althorp, as Diana’s grandfather had died, passing the earldom on to Johnnie. He became the 8th Earl Spencer and Diana became Lady Diana. Raine began an extensive remodeling of Althorp, proving unpopular with Diana and her siblings, who hated their new (wicked) stepmother, calling her “Acid Raine.” Johnnie, however, became very happy after his marriage to Raine. Now that you have seen this photo of Raine (above), you will not find it hard to believe that her mother was Barbara Cartland, Diana’s favorite novelist! That made Cartland Diana’s stepgrandmother. She learned of Diana’s love for her books and sent them to Diana by the cartload. In 1977, Diana moved into Coleherne Court in South Kensington, London. Her roommates remember that she always got up before the meal was finished to clear the table. She hated dirty dishes. Diana loved to do the washing and ironing of shirts for friends. Her big sister Sarah paid her to clean her apartment. Diana was Cinderella, sweeping the hearth free of ashes. 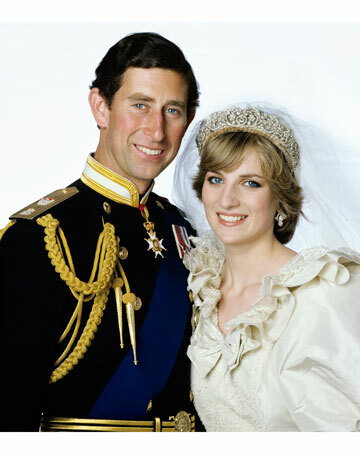 And Lady Diana did indeed marry Prince Charles on July 29, 1981. Her fairy tale unfolded as she had imagined. Her father gave her away. She wore a confection of a dress with a 25 foot-long train. She rode to St. Paul’s Cathedral in a carriage. 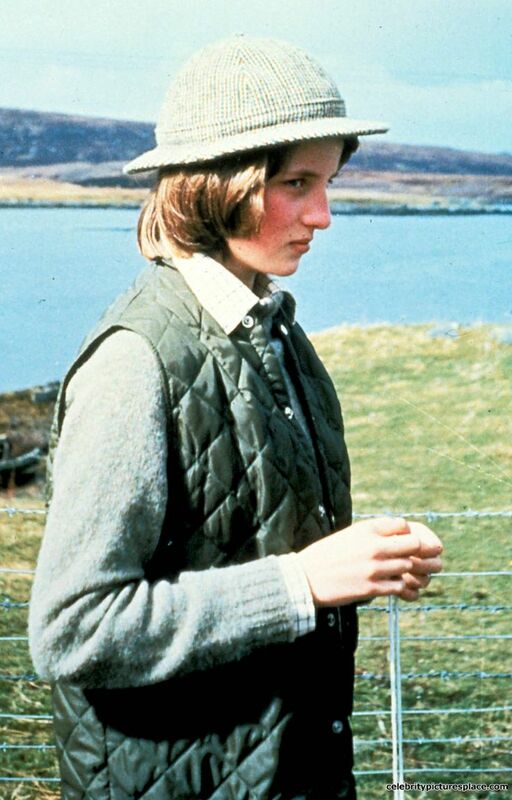 She became Her Royal Highness, Diana, Princess of Wales. When Charles became King one day, she would become his queen, and their son, a king, too. As we all know, Diana’s life with Charles did not have a happy ending. Her marriage was miserable, ending in a nasty divorce (1996) which led to her disastrous loneliness and tragic death (1997). Diana’s story was a fractured fairy tale of the worst imaginable kind. By the way, stepmother Raine attended the royal wedding. 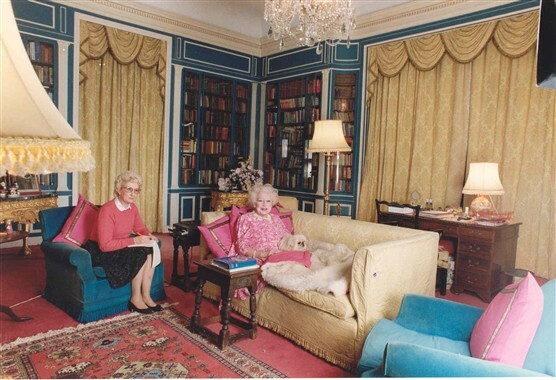 However, stepgrandmother Barbara Cartland – the fairy queen who nurtured this fairy tale of Diana’s – did not attend. Someone – maybe the Queen’s sister, Princess Margaret – considered her an embarrassment and did not want her there. We don’t know if she wasn’t invited OR was offered an invitation but declined because her seat was behind a column! Anyway, not being present at Diana’s wedding proved to be the biggest humiliation of Barbara Cartland’s life. Hell hath no fury like a woman scorned…. For more about Princess Diana, click here. (2) Brown, Tina. The Diana Chronicles. New York: Doubleday, 2007.